Charter a private flight to Oakland, the largest city in the East Bay region of the San Francisco Bay Area, and home to the 5th busiest port in the United States. Renting a private jet into (OAK) Metropolitan Oakland International or nearby airports in Concord (CCR), Hayward (HWD), and Livermore (LVK) is the best way to arrive in the Bay Area, and our company offers the highest standards in executive and luxury air travel. Air Charter Advisors arrange private jet charter service to/from Oakland and surrounding areas of the East Bay region, including Contra Costa and Alameda Counties. We can also assist in aircraft sales & acquisition, and offer a wide range of marketing and management solutions for private jet, turbo-prop and piston aircraft owners. Air Charter Advisors is a private jet charter broker based in the United States, offering simple, pay-as-you-go air charter service with no long-term contracts, no hidden charges, and no membership fees. Our number one priority is passenger safety and comfort, and we go beyond industry standards to ensure compliance. ACA has access to thousands of planes based in the Bay Area and around the world, and we exclusively utilize aircraft operated by FAR Part 135 or 121 (or foreign equivalent) air carriers. ACA can also arrange a variety of luxury concierge services to complement your flight, including ground transportation, catering, helicopter lifts and other services. Enjoy the comfort, convenience and peace of mind you get from working with a Wyvern-certified air charter broker, and ACA will be your solution for luxury air travel, aircraft acquisition and private jet management in Oakland and neighboring areas of Livermore, Hayward, Concord, Berkeley and more. Call us at 1-888-987-5387 or request a free charter quote for your upcoming flight to Oakland, CA. Our team is standing by to book your private jet, create its flight itinerary; arrange in-flight catering, luxury ground transportation, helicopter lifts and any other requests you have – consider our Private Jet Charter Oakland team your one-stop shop for all things private aviation in the East Bay Area. The following airports are located within 20 miles of downtown Oakland. Additional airports serving the east side of the Bay Area are available within 20 miles in the cities of Hayward, Concord and Livermore. Learn more about private flights to (SFO) San Francisco. Charter a private flight to Oakland, also known as “Oaktown”, a popular destination in the San Francisco Bay Area for business executives and luxury travelers alike. Whether flying privately into (OAK) Oakland International Airport to check out the thriving sports scene or to conduct business around the busiest port in the Bay Area, we can help arrange the right aircraft and flight itinerary that best suits your needs. As a major port city on the West Coast, Oakland has a lot to offer in terms of diversions and attractions. Luxury private jet travelers will find expansive and breathtaking views, a diverse array of mouth-watering cuisines, and an amicable and laid-back local crowd. All of this makes Oakland a prime private flight destination for business or for pleasure. 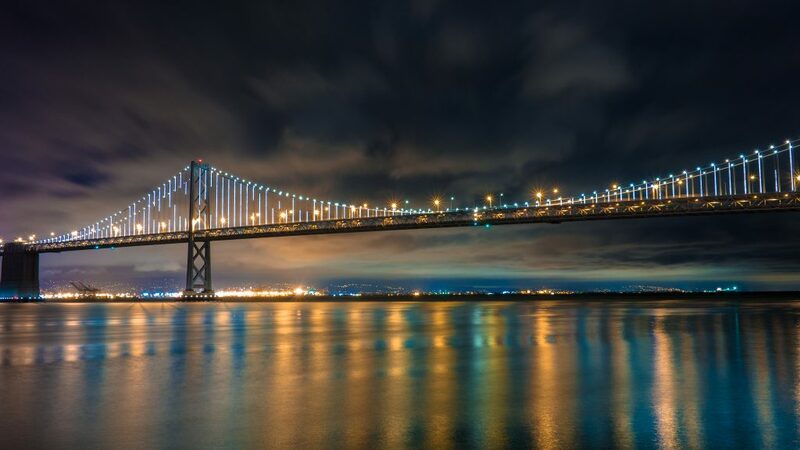 After your private jet lands in one of the three conveniently located private airports in the area, you’ll have a lot to do if you want to enjoy all Oakland has to offer. First you can head out to the most popular spots like pristine Lake Merritt, the expansive and well-funded zoo, or the slightly eccentric shopping district along the waterfront. Or you can spend your evening in the newly and continuously renovated uptown neighborhood that has attracted top west coast chefs, a young affluent student crowd, and now boasts several theaters, music venues, and boutique restaurants. 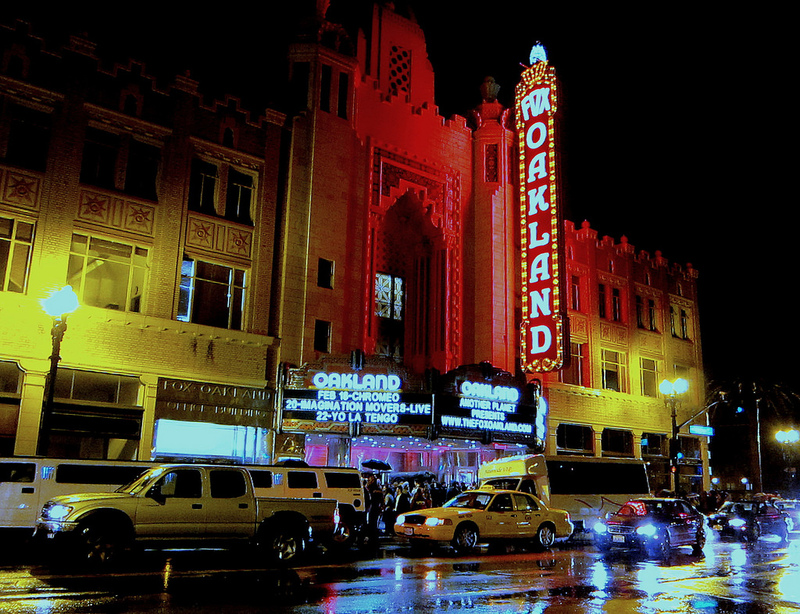 Check out our list of things to do after your private flight arrives in Oakland, California. 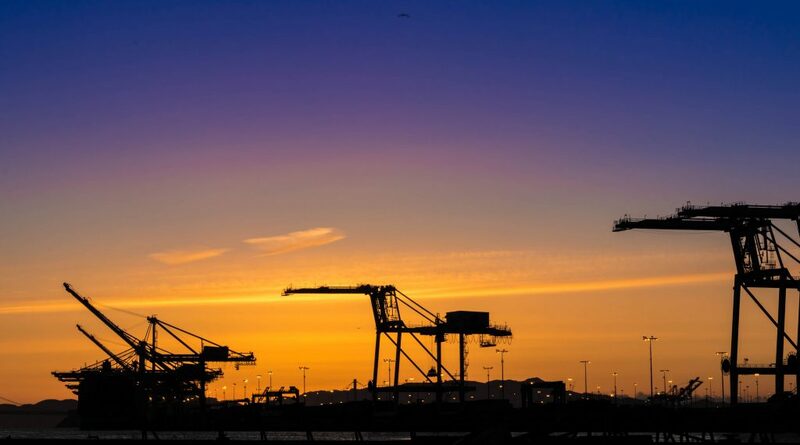 Charter a business jet to Oakland, a major trade city on the West Coast and home of the 5th busiest port in the United States. The San Francisco-Oakland-Hayward metro area holds a GDP of $360 billion (2013), making it 8th among U.S. metropolitan areas. 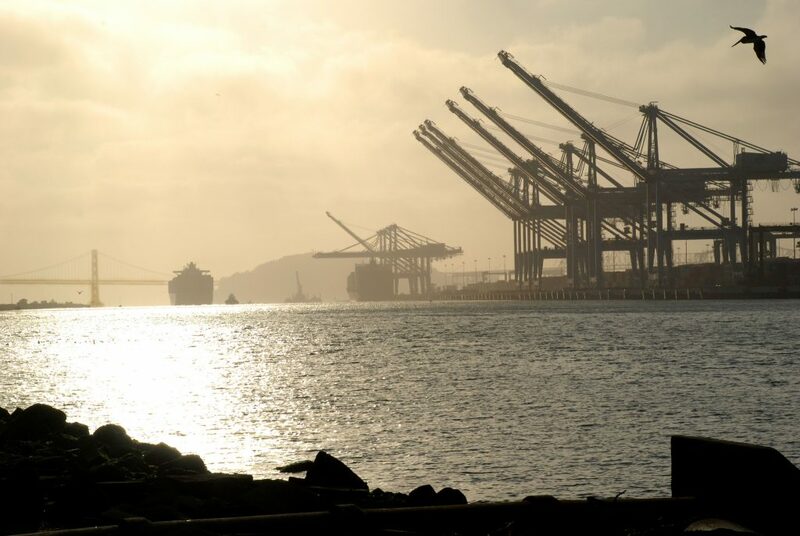 Nearly every container that moves through Northern California is handled by the Port of Oakland, accounting for more than $40 billion of international trade and nearly 200,000 trade related jobs. Major companies based in Oakland include Kaiser Permanente, Clorox, Dreyer’s ice cream, and Cost Plus World Markets. 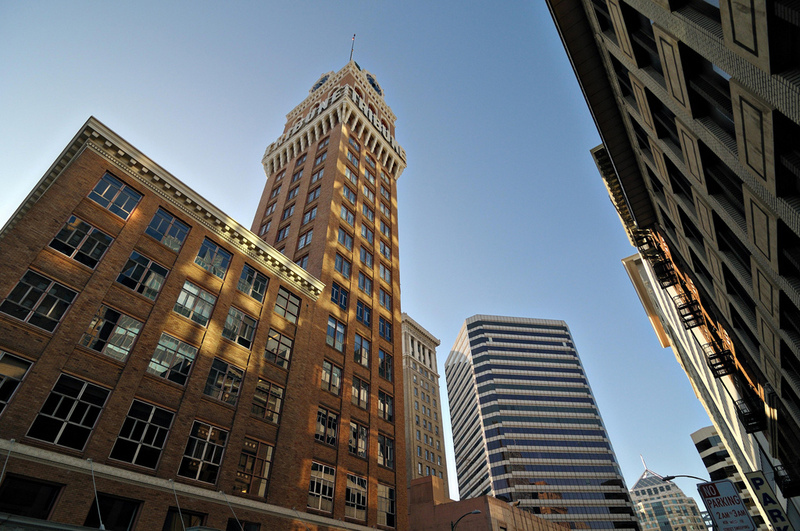 There are a handful of tech companies in Oakland including Ask.com and Pandora Radio, and many high-tech and green energy start-ups have moved into the neighborhoods of Uptown, City Center, Jack London Square and Lake Merritt Financial District in recent year; Oakland ranked as the 5th city in terms of tech entrepreneurs by total venture capital investment in 2014. Need to charter a business jet for your executive team? ACA is your source for corporate jet charter service to Oakland and surrounding areas of California’s East Bay region. Whether you need a turboprop or helicopter to fly you across the Bay Area or a luxury jet in an executive configuration for cross country flights to business meetings, we can offer a variety of options that best suit your goals. Wyvern-certified, our standards meet and/or exceed those set by the FAA, and are in line with many corporate flight departments. In fact, many top companies around the world contact us for supplemental lift whenever they need a flight outside of their fleet’s capabilities, or whenever their plane is schedule for maintenance. Our team can also assist with executive jet acquisitions/sales, and we offer comprehensive private jet management & marketing services to help aircraft owners and organizations get the most out of their jets. Oakland and its surrounding area has modernized itself extensively over the past decade or so. With the middle and upper-middle class citizens of San Francisco spilling over into the hills of Oakland, Emeryville, Berkeley, Fremont and Livermore, there are more tourist options than ever before. Private jet travelers are sure to enjoy the rolling hills and beautiful bay side views from the balconies of their luxury hotels. Ever since the 1960’s free speech movement Berkeley has been synonymous with liberal political activism, word-class academia, and overall progress. Whether it be in the arts, its student-driven nightlife, or its daring and inventive cuisine, Berkeley has something to offer everyone. For private jet travelers visiting this amazing city, flying into (OAK) Oakland International Airport is the most convenient option. Located just 15 miles outside of Berkeley, this airport offers all of the amenities and anonymity that private jet travelers have come to expect. A sprawling and white-collar suburban town, Fremont was well planned out as a city back in the 1950’s. The five small independent towns of Centerville, Niles, Irvington, Mission San Jose, and Warm Springs originally combined to form Fremont in 1956, producing a city that just makes sense in terms of district placement and overall business-to-residency cohesiveness. Fremont is the closest East Bay city to Silicon Valley, and Fremont is often associated with the area. Because of this, Fremont is home to several corporate headquarters, including Antec Inc, Corsair Memory, Ikanos Communications, Lam Research, Oplink Communications, Silicon Graphics International, SYNNEX, S3 Graphics, Exar, Volterra Semiconductor and DCKAP. Private jet travelers will find (HWD) Hayward Executive Airport to be very conveniently located just fourteen miles outside of Fremont. If you need to arrange a business flight to the Fremont area, call or request a quote to speak with one of our private aviation specialists. Located in Alameda County in the East Bay, Hayward is the sixth largest Bay Area city, and is listed as part of the San Francisco – Oakland – Fremont Metropolitan Area by the U.S. Census. Hayward is home to a large number of manufacturing companies, both corporate headquarters and plants, including some high-tech companies since Hayward is considered a northern extension of Silicon Valley. Hayward is also the home of California State University’s East Bay campus, a top–tier institution among master’s–granting universities. In May 2015, the Hayward’s former shoreline landfill is being used to construct a solar farm set to generate enough electricity to power 1,200 homes as one of 186 sites in the Regional Renewable Energy Procurement Project. Talk to one of our Hayward jet charter brokers and we can arrange for your private jet to land at (HWD) Hayward Executive Airport, with ground transportation standing by for your arrival. Livermore is located in Alameda County, and is the most populous city in the East Bay’s Tri-Valley area. Every June, Livermore hosts the Livermore Rodeo, known as the “World’s Fastest Rodeo” with more riders per hour than any other event of its type, and event held here since 1918. There are also several wine-tasting tours available periodically throughout the summer. The city of Livermore is home to a strong blue-collar working-class, along with several professionals who commute to the Lawrence Livermore National Laboratory and other high-tech work sites within the Bay Area. Whether you’re booking a private flight to Livermore for company research or for pleasure, (LVK) Livermore Municipal Airport is your best option for arriving close to the city. Air Charter Advisors offers access to the following Wyvern-certified aircraft for your flight to the Bay Area. All of the aircraft we utilize for charter flights are operated by FAR Part 135 or 121 (or foreign equivalent) air carriers, and we only use veteran pilots with a ton of experience in the private jet you’re chartering. Our Oakland Private Jet Charter brokers will provide you with a variety of options based on the goals and budget of your trip, allowing you to charter a cost-effective aircraft, or the most luxurious, stylish corporate jet on the market. Check out our Aircraft Gallery for more details on all of the aircraft available for your trip. If you don’t see your preferred plane listed below, speak to one of our brokers and they will locate one for you. ACA can arrange for your private charter flight to arrive/depart using the following airports in Oakland, California and neighboring areas of California’s Bay Area. The airports listed here are centrally located within 20 miles of Oakland; additional airports within 50 miles are listed below. Charter a private flight to Oakland International Airport (IATA: OAK, ICAO: KOAK, FAA LID: OAK), an international airport located 10 miles south of Downtown Oakland and the main gateway into California’s East Bay region. Facilities at (OAK) include 2 terminals with customs & immigration services, and 4 runways, including 3 runways located in the airport’s North Field (10R/28L; 10L/28R; 15/33) that are dedicated to general aviation operations. Also located in Oakland’s North Field are two FBOs (KaiserAir & Signature Flight Support), as well as a number of flight schools, an aviation museum, and aircraft maintenance facilities.